I had seen a pretty neat pattern on the internet with a cat body that used a New York Beauty. 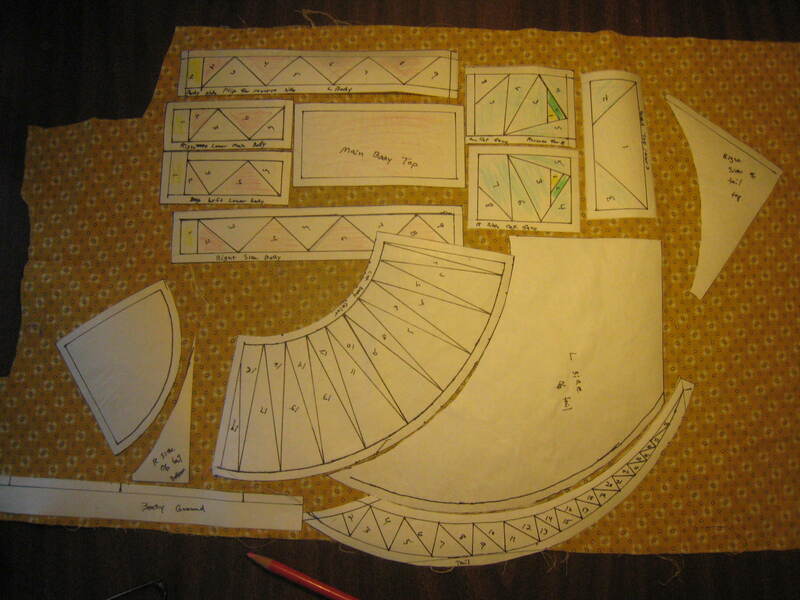 Being that I am currently economically challenged, buying the pattern was out of the question so I decided to try and work it out for myself with a few modifications. 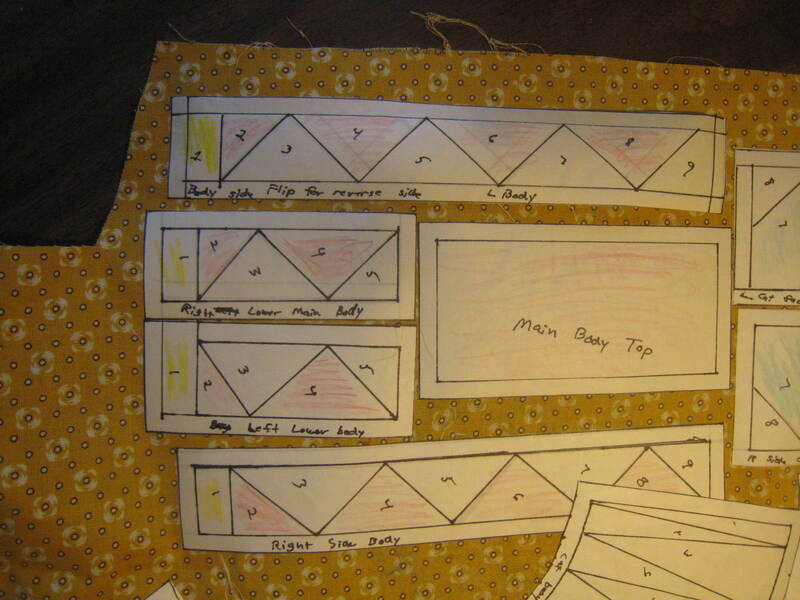 Here it is drawn out and with added 1/4-inch seam allowances. You will see soon some of the math mistakes I made. Just ordered electric quilt 7.. really excited to put ideas into form.. I bought it for 142.00 free shipping.. not bad compared to most prices... has anyone used this to design quilts and publish a book? 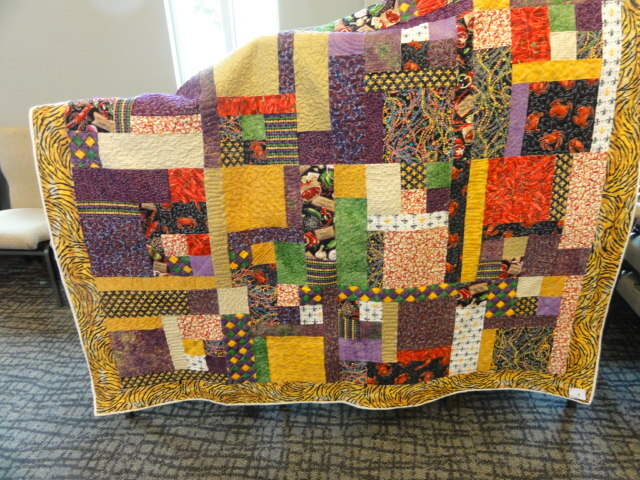 Our guild was challenged to create a quilt with a Louisiana theme. I can finally now show my entry, as today was the day to bring them to the meeting for display. I have titled this one "5-yard Gumbo". After tonight, it will be on display at the Borne Quilter (Lafayette LA) for a few days along with the other challenge quilts. My friends father just died. He had Alzheimer's and she took care of him for 15yrs. 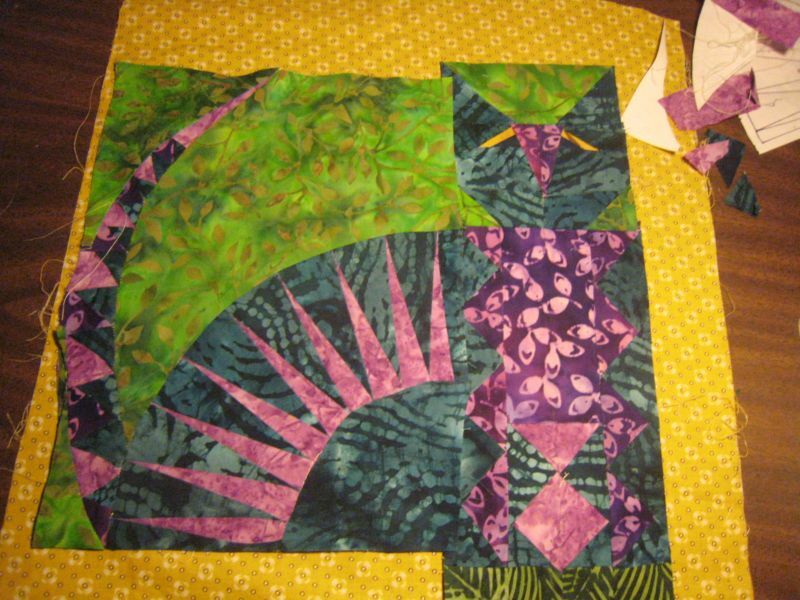 She has requested that a quilt be made out of his clothing. I've never heard of this. Ties, yes. Clothes, no. Feedback please!